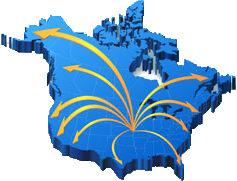 Industrial Recorders | De-Mar Inc.
∘ Midwest’s largest supplier of vidoegraphic recorders for the aerospace industry. 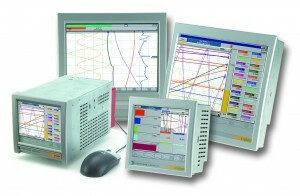 ∘ Eurotherm model 6100A, 6180A, and AERODAQ vieographic recorder designed to meet Aerospace Material Specification AMS2750D. This specification covers pyrometric requirements for thermal processing equipment used for heat treatment. ∘ 48 Universal inputs to accept thermocouple, RTD, VDC, and mA signals. 96 MB internal memory, compact flash card ready, and front USB port for easy data downloads. ∘ Maths, totalizers, counters, and events for virtual channels. 12 Groups available to organize the various channels into familiar or similar groups. ∘ Batch option available to allow the operator or engineer to record up to 10 lines of data as a Batch data entry with a time stamp. ∘Bridge software available to view the recorder channels realtime from a remote workstation. Review software available to upload and manage the data points from an encrypted .uhh data format. ∘Ethernet connection standard with Ethernet TCP/IP and Modbus Master as available options. ∘ Paper chart recorders, circular charts, strip charts, and recorder pens. 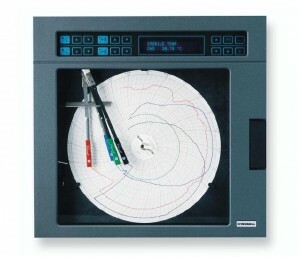 ∘ Eurotherm/Chessell circular chart recorders available with up to 4 inputs, accepts all thermocouple, RTD, mA, and VDC Inputs. Options of totalizers, events, alarms, and RS-422 communications. 12 Hr, 24 Hr, or 7 Day chart options. ∘ Eurotherm/Chessell 100 mm strip chart recorders also available with up to 6 inputs, accepts all thermocouple, RTD, mA, and VDC Inputs. Options of maths, totalizers, counters, event, alarms, and RS-485, RS-232 communications. Z-fold or roll cassette chart options. Memory stick option also available for recording points in .uhh data format compatible with Eurotherm Review software. ∘ Ability to supply circular charts, strip charts, recorder pens, and ink cartridges for all major recorder manufactures. 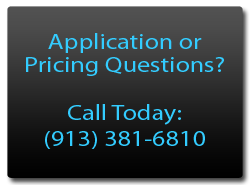 ∘ Call today for competitive prices and fast delivery on consumables for: ABB Kent, Chessell, Dickson, Eurotherm, Graphic Controls, Honeywell, Penny & Giles, Trerice, and Yokagawa. ∘ Videographic Recorder/Controller in one 1/4 DIN instrument! 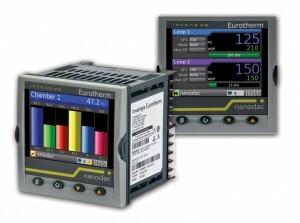 ∘ Eurotherm Model NANODAC 1/4 DIN recorder/controller. ∘Dual PID control loops, 50 MB flash memory, Ethernet communications, USB port for data storage on back of unit, (14) virtual channels for maths – totalizers -counter s- slave communication, logic output, (4) relay outputs, isolated DC output, (2) digital inputs for logic, (4) universal inputs, data points compatible with Eurotherm Review software and Dream Report. ∘ All units supplied have clones with all configuration information saved to Eurotherm ITools software for future uploads and easy replacement of existing programmed units. ∘ Industry Best Three Year Warranty!